Removable Helmet Caddy can be secured to the top of the Spectre 46L to increase carry capacity and additional weather protection to the top of the pack. 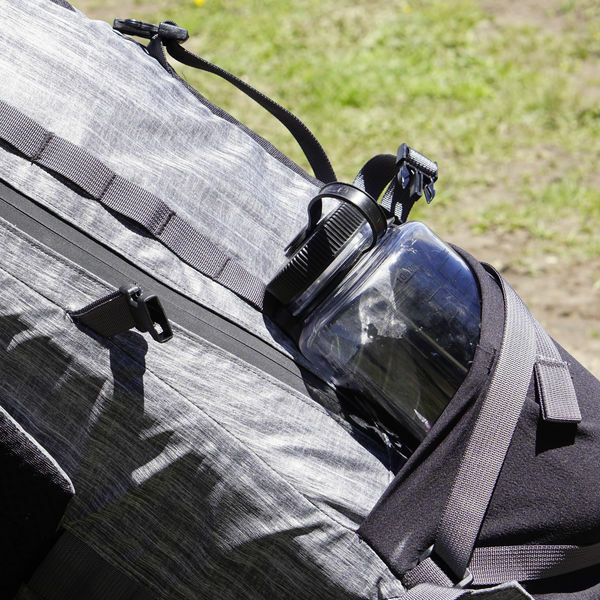 Removable Helmet Caddy can be used to secure additional equipment such as helmets, ropes, quick access jacket, or other items. 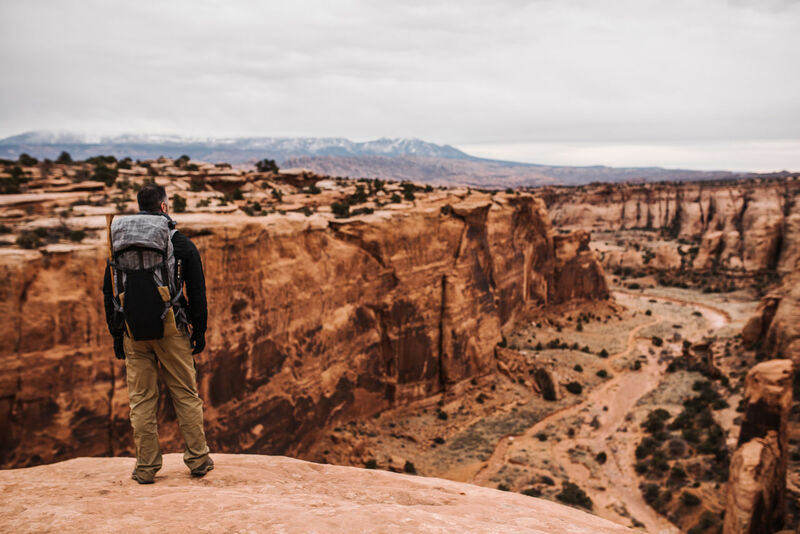 Engineered as a light, durable, and modular platform for off-grid adventures, Spectre carry systems adapt to the demands of your journey, allowing you to comfortably carry the tools you need to thrive. 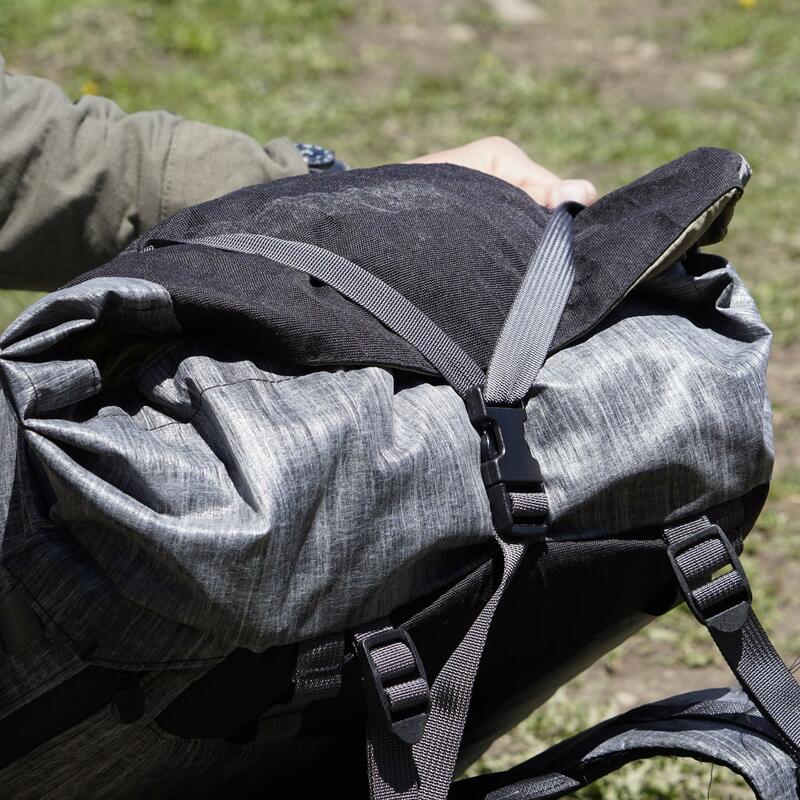 From lightweight day trips and fast-packing to multi-day backcountry missions, Spectre was engineered to help you push your capabilities further. 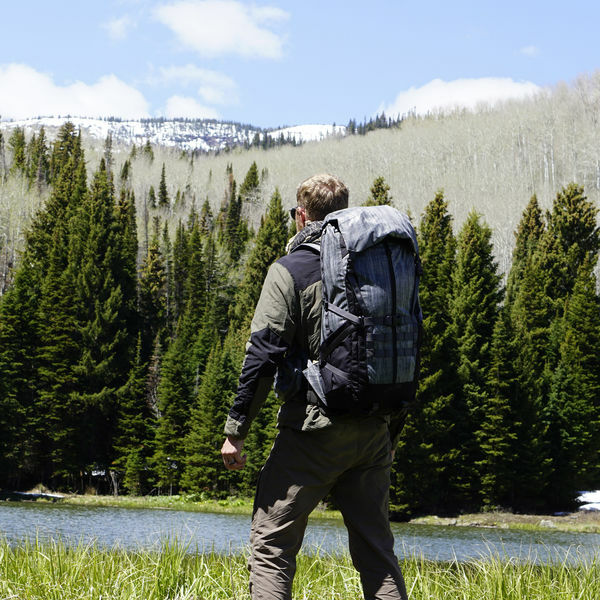 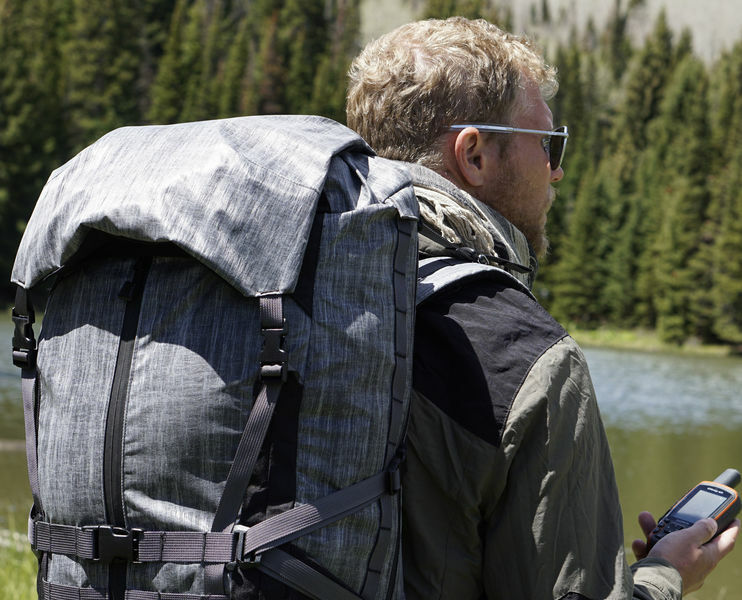 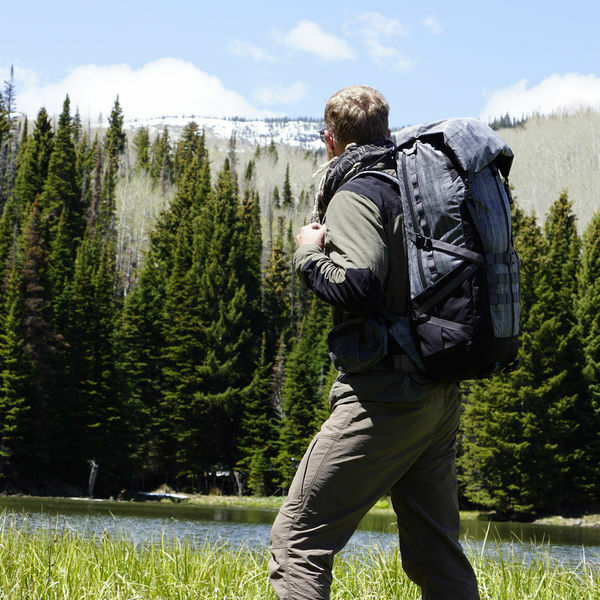 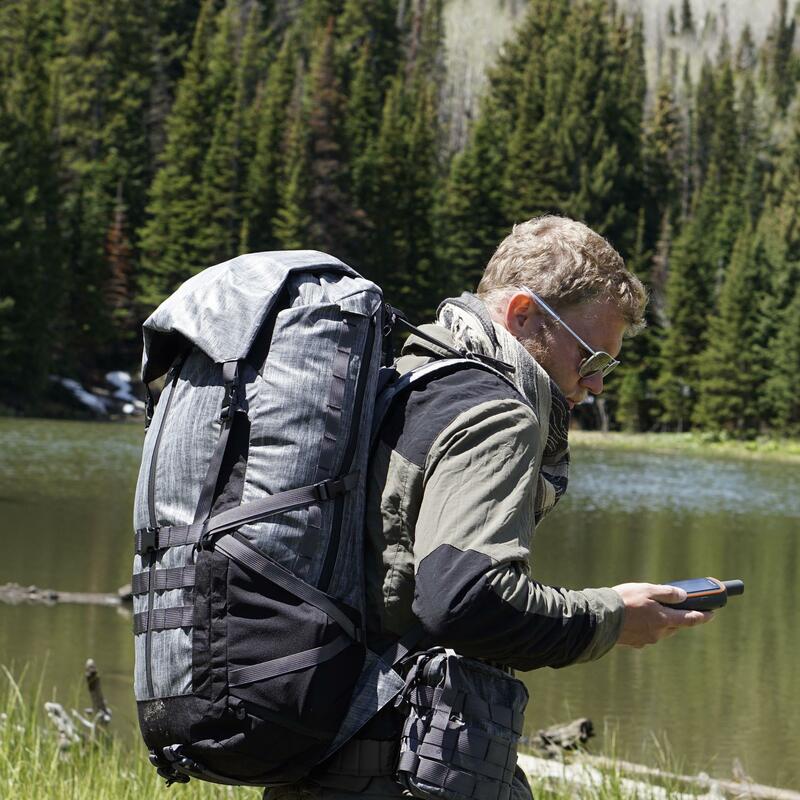 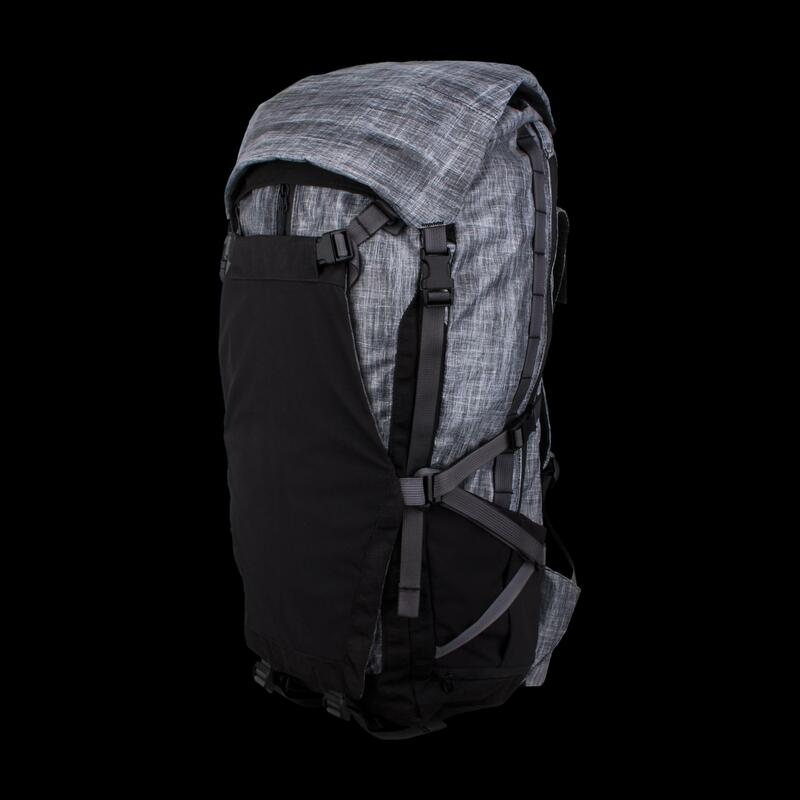 The largest pack in the Spectre family, the Spectre 46L is built for extended adventures. 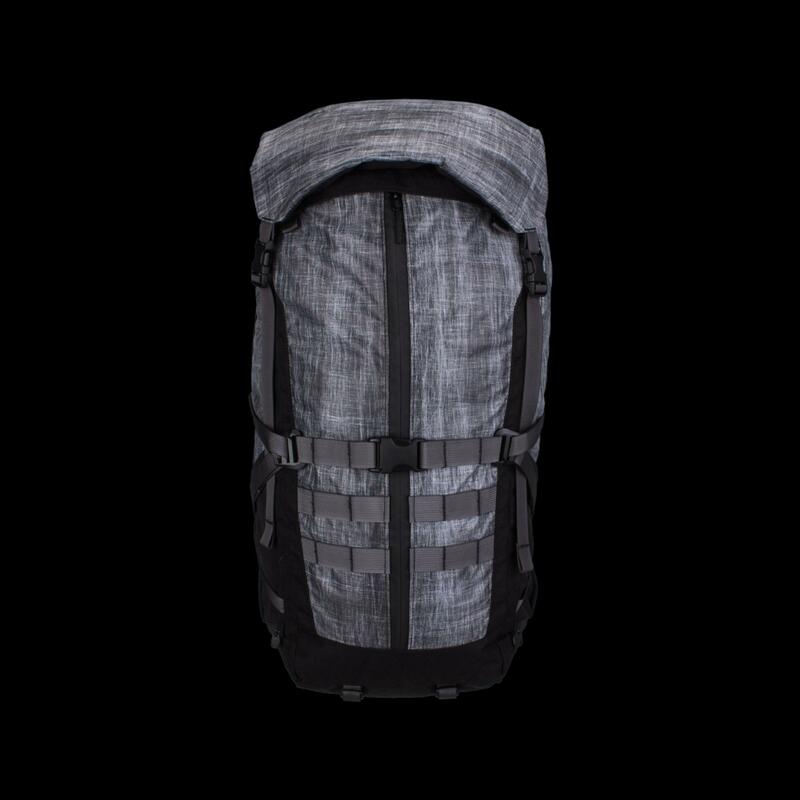 Its lightweight, load-bearing design easily scales to long term expeditions, comfortably managing the load with its customizable 7075 aluminum stays and adjustable harness system. 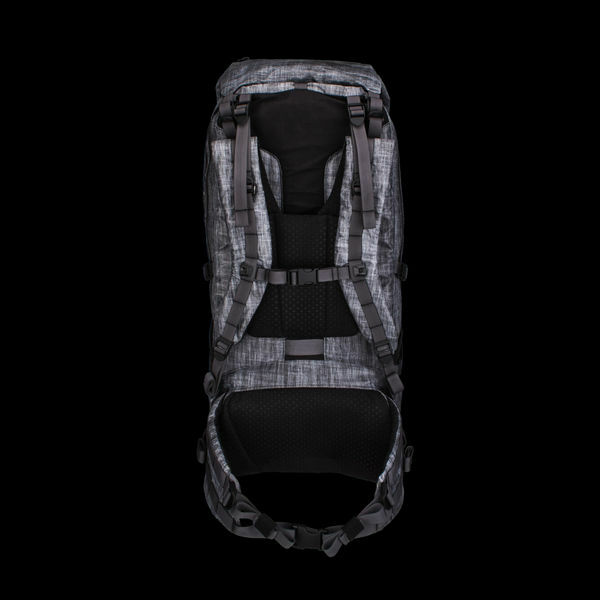 A 3-row, 4-column PALS grid on the face supports the Spectre compression system and accessory pouches, such as the OP1, GPP1 and GPP2. 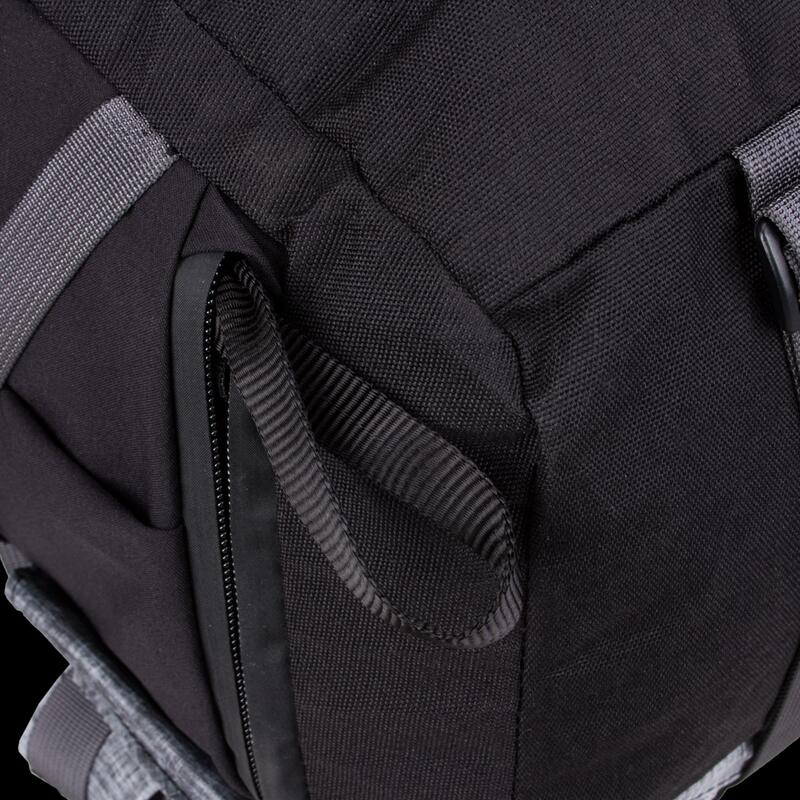 A low-profile daisy chain along the periphery of the bag provides attachment points for S1/S2 pouches, radios, and other accessories. 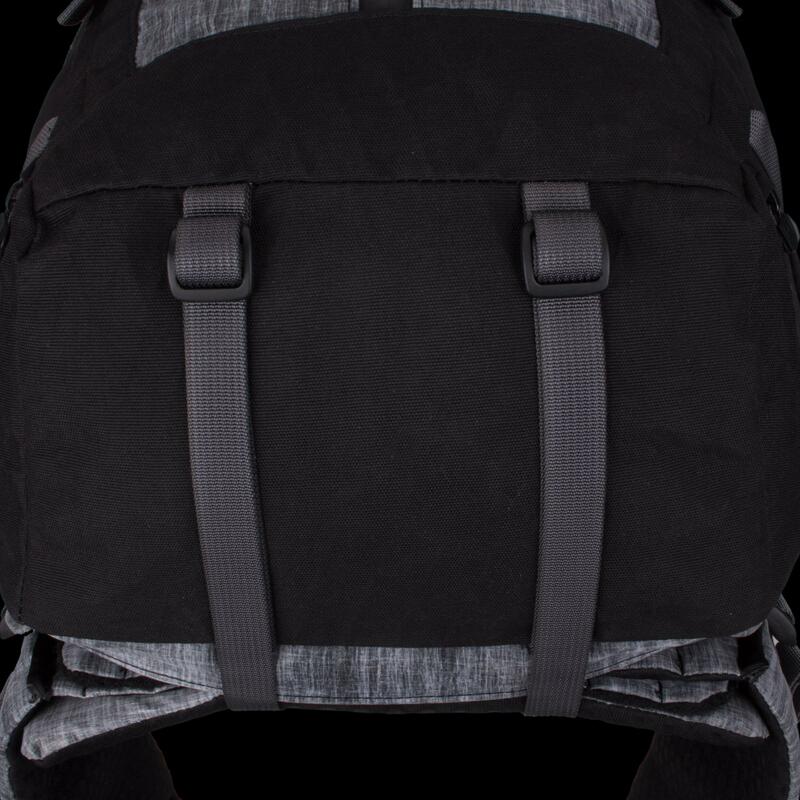 Internal mounting points within the main compartment support a range of accessories such as Control Panels for further customization. 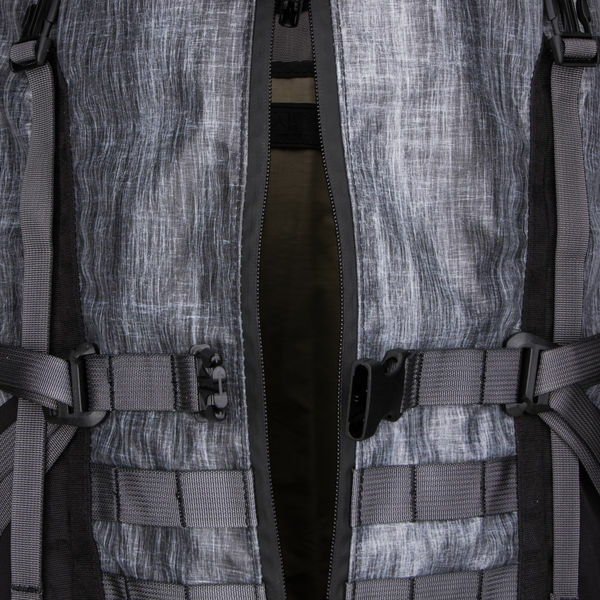 Isolated side compartments, easily accessed via dedicated full-length zippers and separated from the main compartment by durable and water-resistant ripstop panels, feature hanging loops, covered exit ports, and externally routed drain holes. 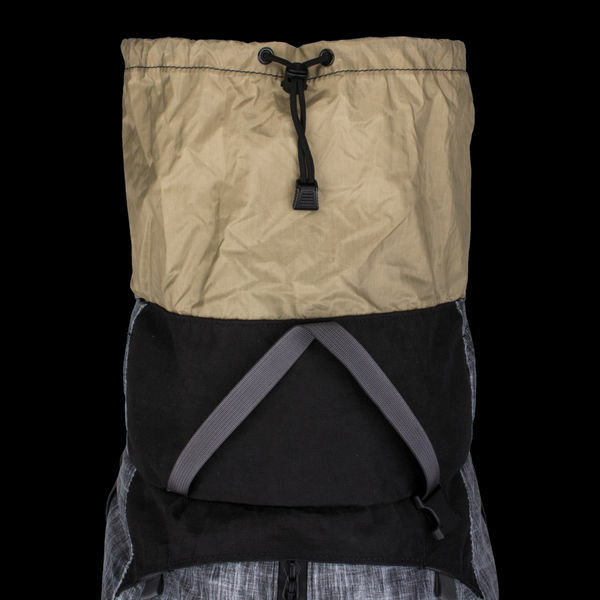 Ideal for hydration systems, isolating wet or dirty gear, or for keeping extra layers and small items readily accessible. 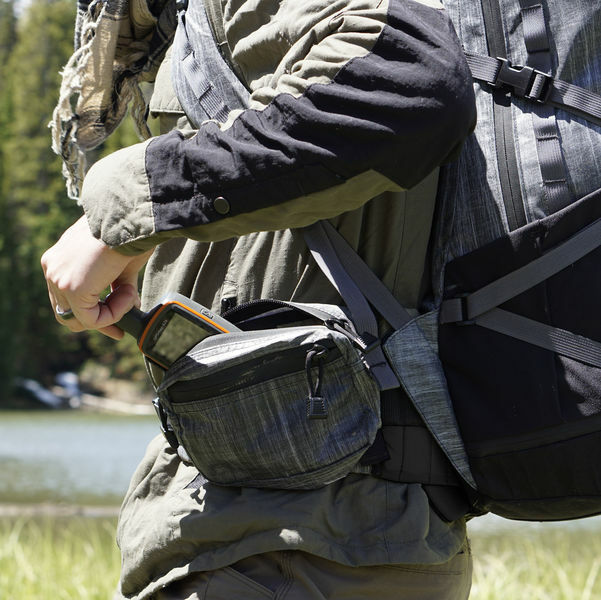 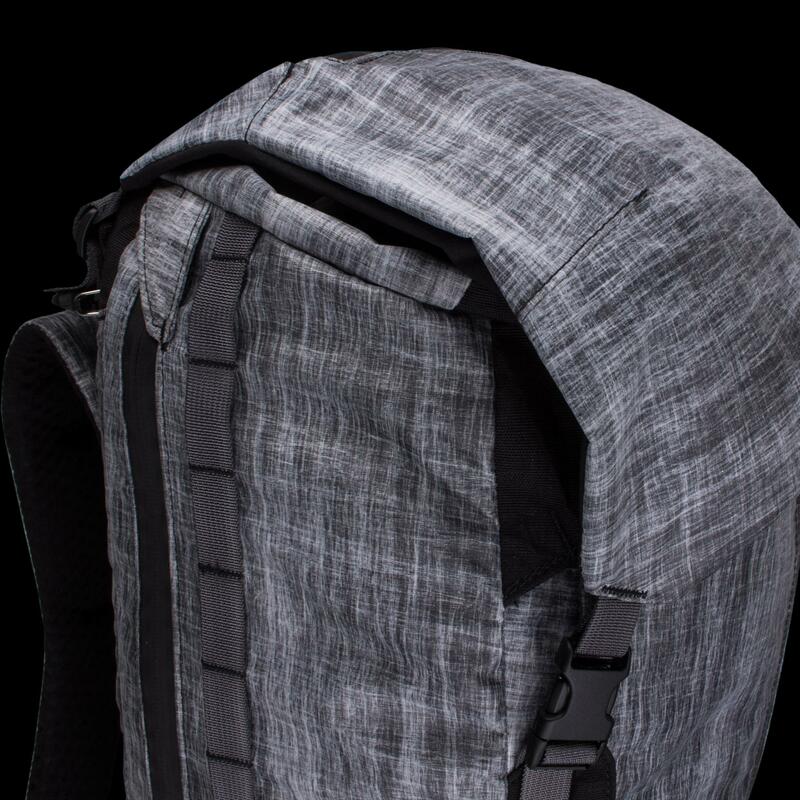 The Spectre Transporter Tail, hydration pack systems, and other accessories can attach to either the concealed, integrated attachment points at the crown or to the daisy chain for externally configurable storage. Similar attachment points inside the side pockets allow for management of ice tools and other gear along the sides of the pack via the zippered port on the bottom. 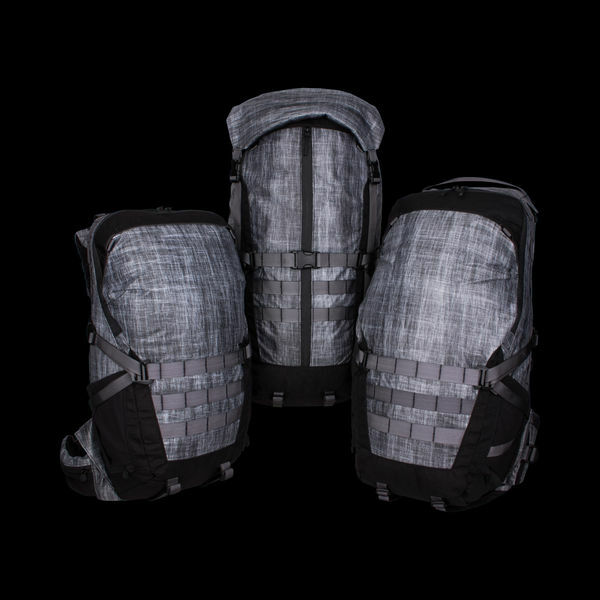 A modular compression system controls the load in the main compartment, or can be positioned across the pack to carry larger items, such as snowshoes or antler shed. 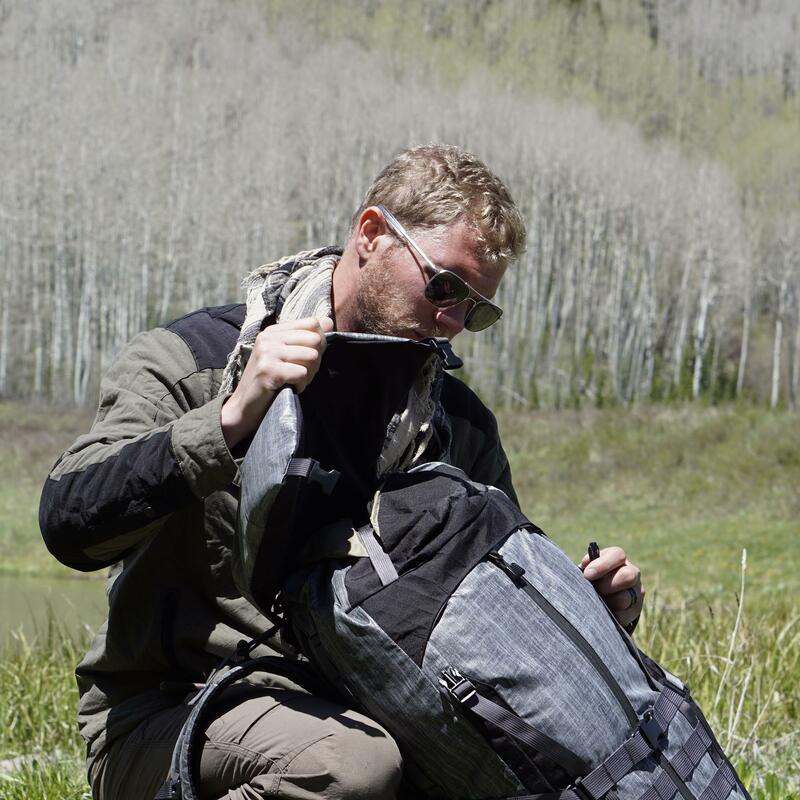 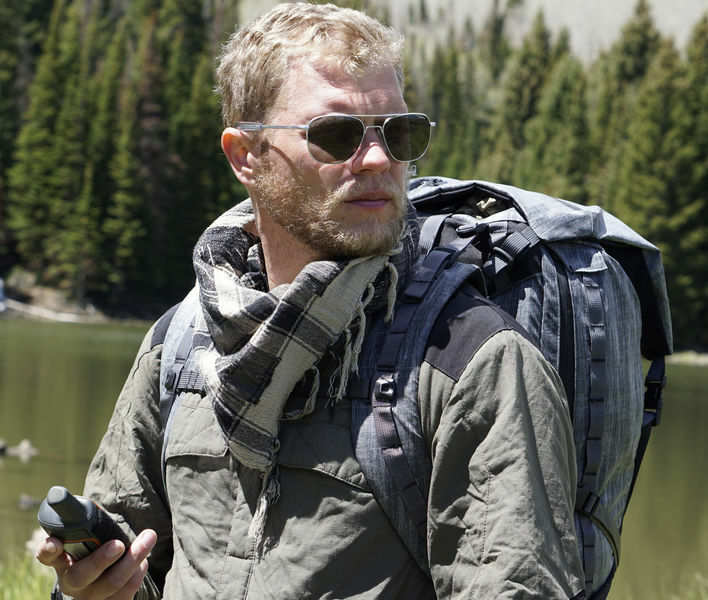 The spindrift collar and removable, free-floating lid adjust to a variety of loads. 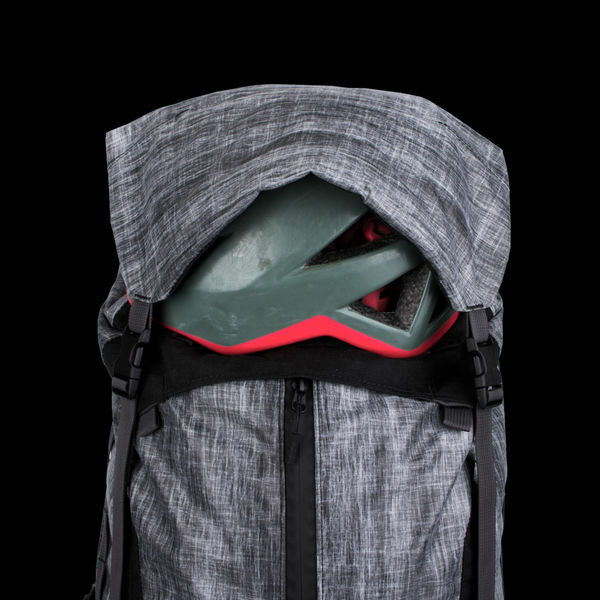 Beneath the lid, a multi-point top compression strap helps to manage the load, as well as providing an external caddy for items such as helmets. 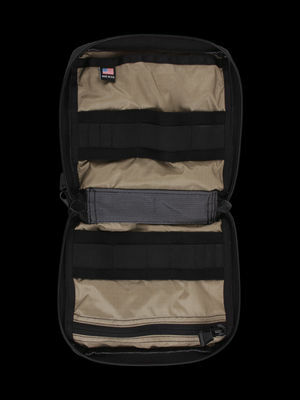 A full-length center zipper provides immediate access to items in the main compartment without needing to unpack. 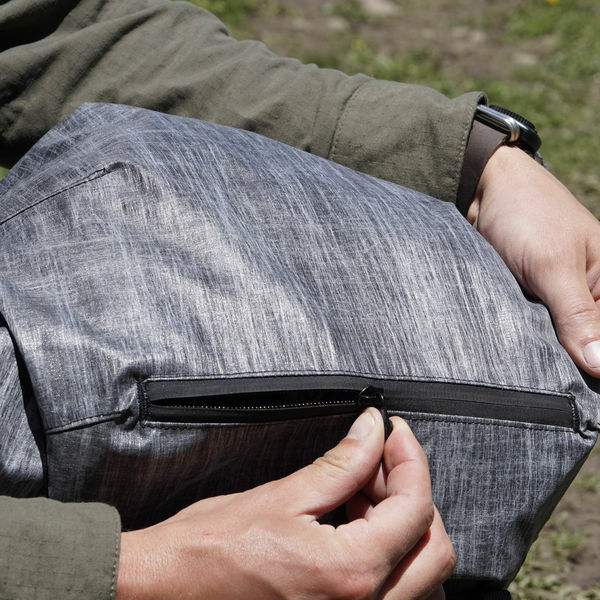 An internal pocket inside the main compartment keeps items accessible and secure against the back panel. 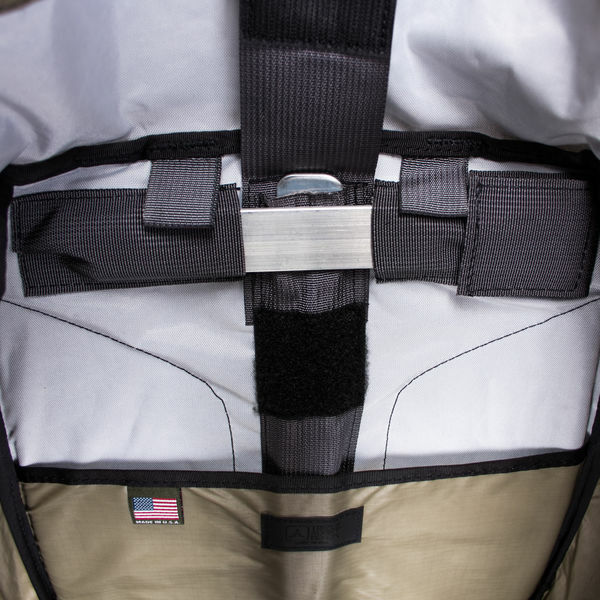 Hanging loops at the top allow this pocket to be used as a center hydration compartment or for separating and raising heavy items such as radios or batteries. 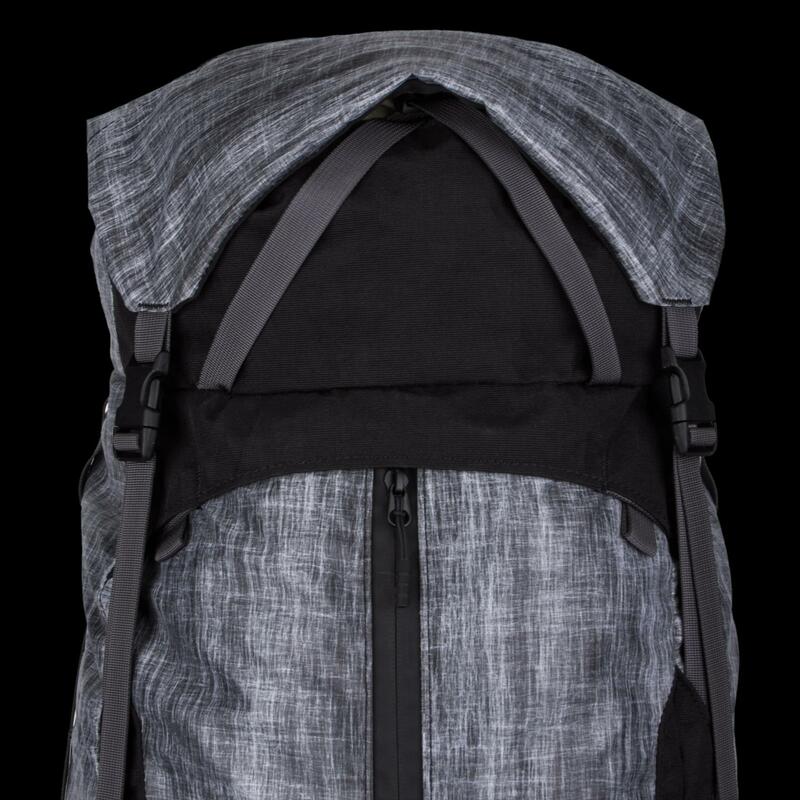 Gusseted and durable stretch woven side pockets lay flat when not in use, but expand to securely keep water bottles or other items within easy reach. 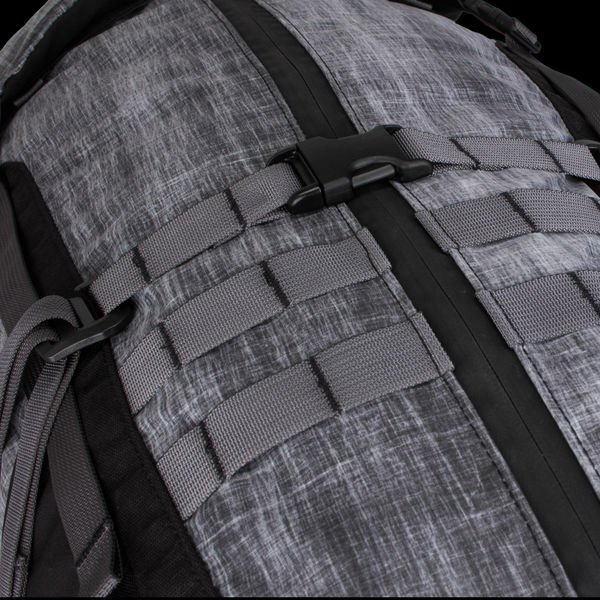 Integration with the Spectre compression system allows taller items to be secured against the sides of the pack. 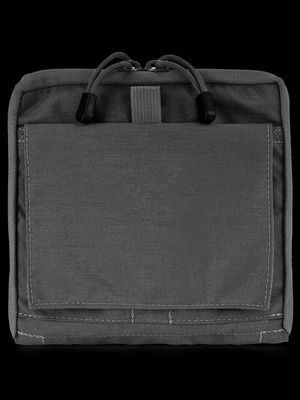 A two-row, 4-column PALS grid on the load-bearing waist belt supports mounting accessories such as our GPP1 or GPP2 pouches. 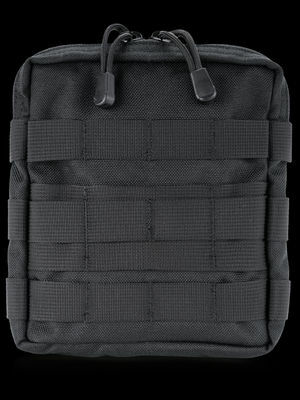 The free-floating lid contains a zippered pocket for quick access items such as maps or IFAKs. Internal loops support dummy-cording equipment. 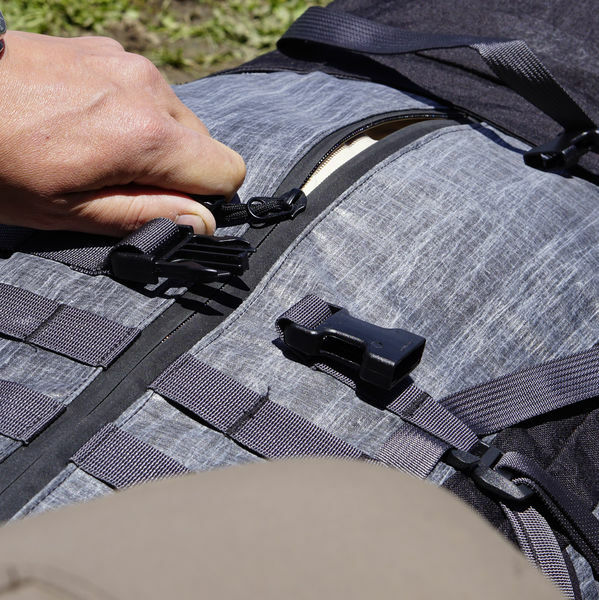 The removable, load-bearing waist belt features individually adjustable wings, allowing the belt to be sized to a wide range of body types. 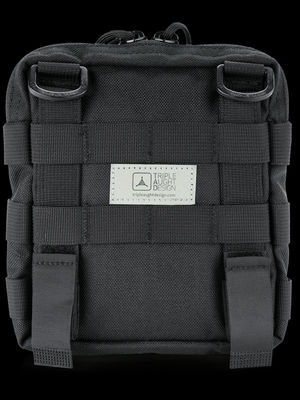 Lumbar compression straps allow the lower load to be pulled in to the body, improving load transference and comfort. 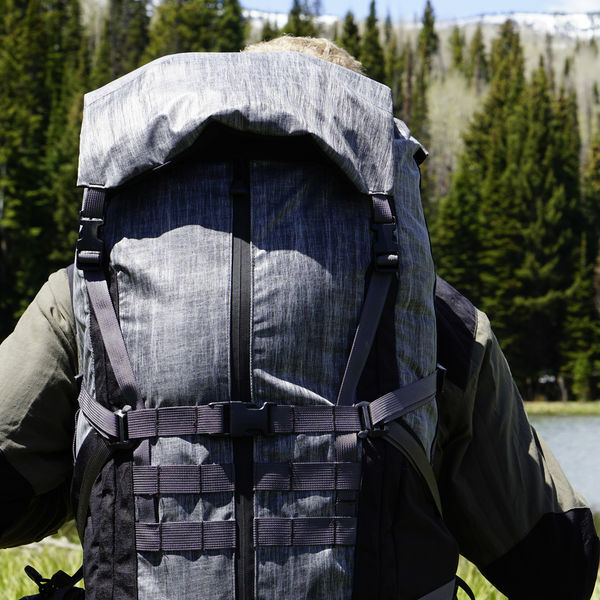 An HDPE framesheet creates a solid platform from which to build on. 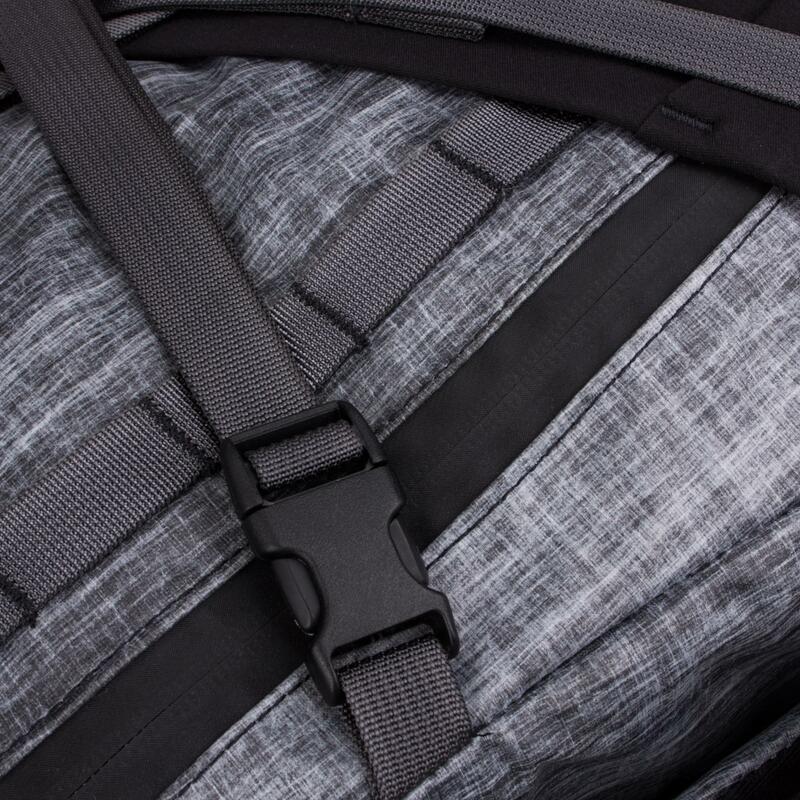 7075 aluminum stays distribute the load between the adjustable harness and waist belt. Both the vertical stay and upper cross-stay are removable for end-user adjustment. 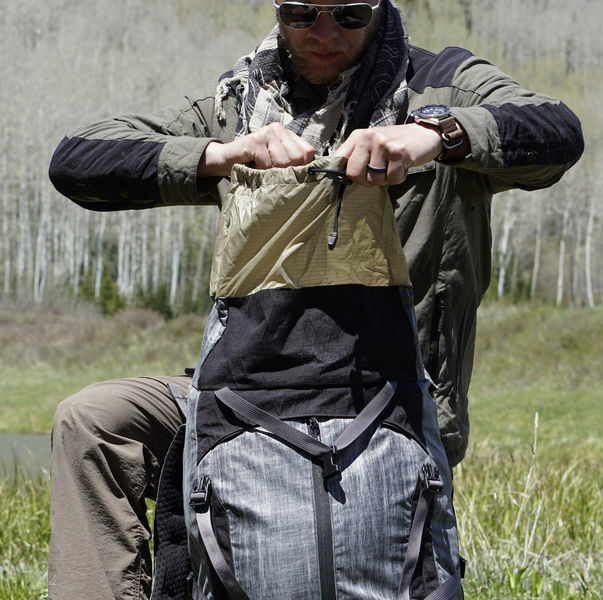 A free-floating harness adjusts to a variety of torso lengths. Multi-position load lifter straps are adaptable to different harness positions and allow the user to pull the pack in tight for maximum stability, or leave it loose for a wider range of shoulder movement to support activities such as scrambling. 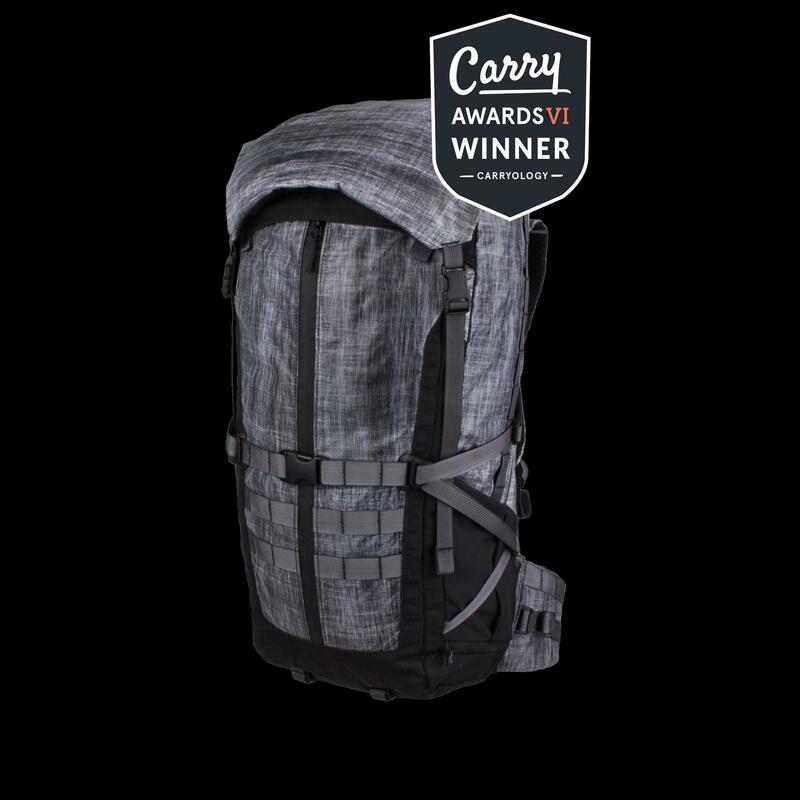 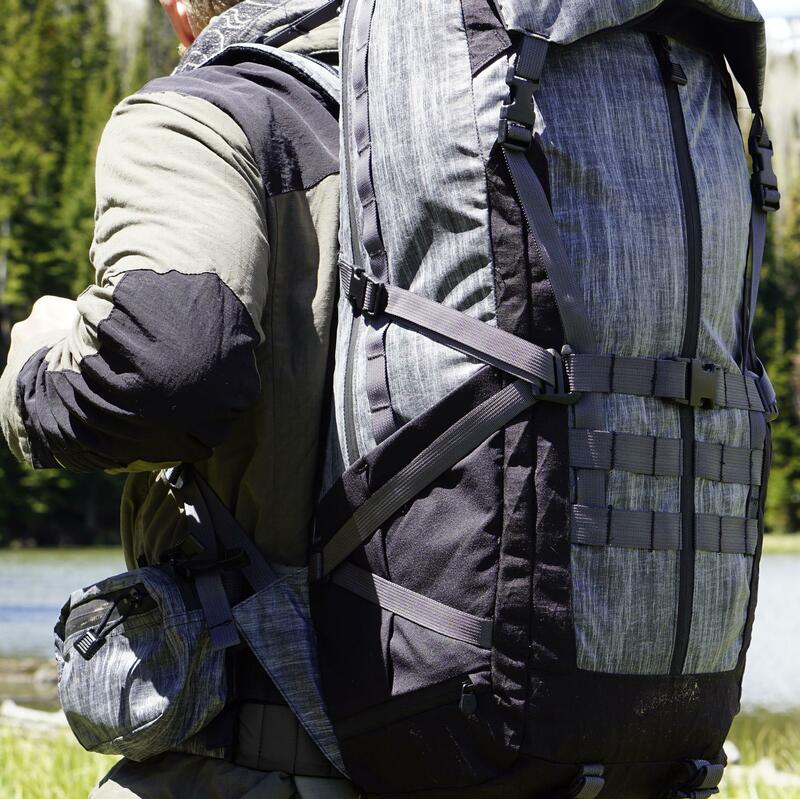 Spectre Carry System utilizes advanced materials to create a lightweight but resilient carry system. Originally developed as a high-performance, long-life sailcloth, the shell is a durable, weather-resistant nylon laminated with a structurally reinforcing scrim.